Random fun car fact: Subaru Shutdown Turbo Cooling! Turbochargers have a problem. They get hot, very hot. In fact the development of early turbochargers and early jet engines was very much intertwined. The performance of both is limited primarily by how much heat the hot section (turbine) can tolerate before it turns into molten slag. As such they both relied heavily on the development of special high-temperature steel alloys going back to the 40's, 50's, and 60's. Anyway - turbochargers are (with some special exceptions) oil lubricated. Since the hot bits of a turbo go way beyond the point at which oil would auto-ignite, you have to keep the bearings cool enough or the oil will start to coke - that is turn into nasty black crud much like that burger you forgot you had on the grill thirty minutes ago. This is for a bearing supporting a 100,000rpm shaft, obviously a bad thing. 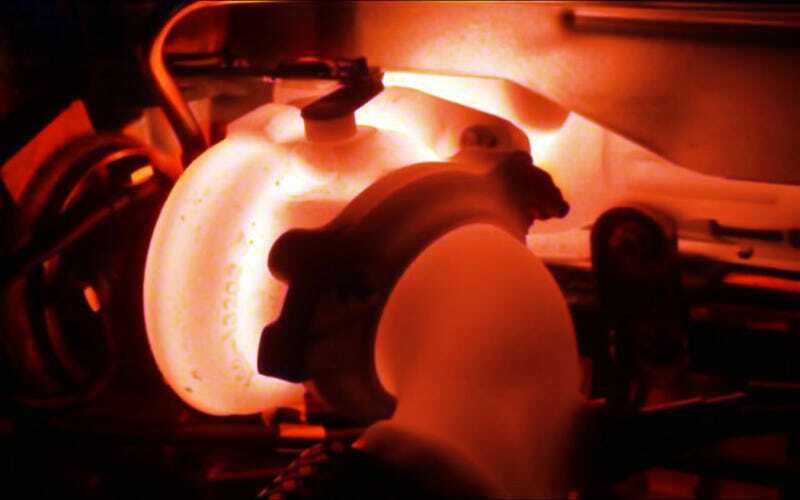 Turbo's deal with this by keeping oil flow high enough to cool things down and very often, and always when reliability is a concern, with water cooling as well. Historically this was addressed with the uncivilized and inconvenient practice of running the engine for several minutes at idle before shut down, or utilizing a "turbo timer" to accomplish the same automatically. Subaru, however, seeing the long term importance of turbocharging to it's product line, innovated a simple remedy to this annoying and potentially expensive complication. I can't easily verify this, but I believe they pioneered this technique. As a WRX owner, we're going to operate on that assumption. The reason is simple. Now, when you shut off the engine with a hot turbo, the coolant begins very quickly to boil. Obviously this hot coolant and steam rises quickly to the intelligently located mini-reservoir. This convection draws cool(er) coolant from lower in the system into the turbo and this process continues until the turbocharger cools sufficiently. In this way, even after shutdown with heat soak from the turbine section, the bearings never get much above the boiling temperature of coolant, protecting the oil from coking. This simple innovation greatly simplifies the logistics of assertively driving your turbocharged car and has likely saved countless turbos from untimely deaths. Think of the backwards-caps bros out there now, who's WRXs run true and strong thanks to this simple innovation. Edit: As you may suspect, the basic concept of utilizing "thermal siphoning" to cool a turbo was not something Subaru invented however this specific setup with the vertically aligned reservoir is intended to enhance the effect as much as possible. Prior to this modification I believe Subaru themselves recommended cool down periods on their turbo cars and have not since. OT: My favorite speed related anecdote. The (second or third) most powerful F1 car. Ever.